TAG Heuer has many iconic watches in its lineup, and the timeless square-cased Monaco easily comes to mind. Launched back in 1969, this beauty was actually the first Swiss-made automatic chronograph featuring a square-shaped, water resistant case, that proved to be a massive hit from day one. As the years went by, this exquisite timepiece received many special versions, and today we have the privilege to introduce a brand new model. Called TAG Heuer Monaco Gulf Special Edition, this stunning watch recalls Steve McQueen’s involvement in making the Monaco famous. 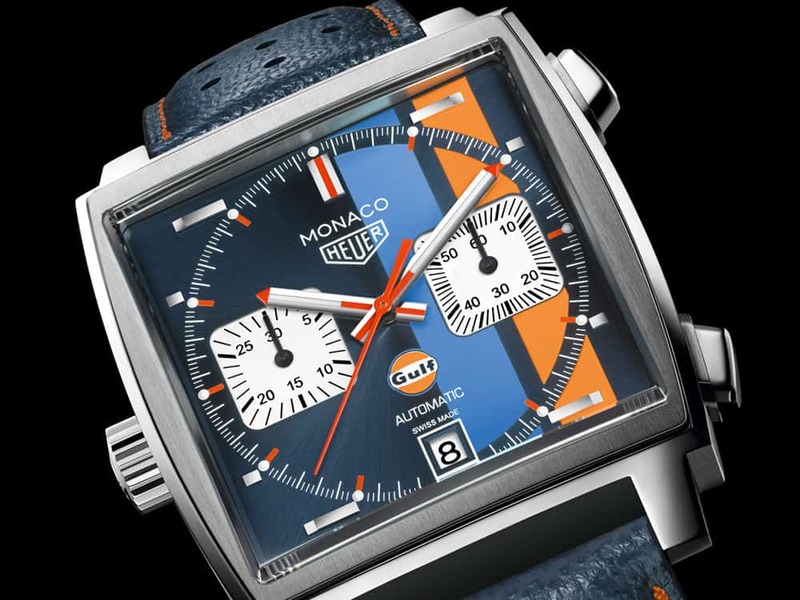 The renowned Hollywood star showed off a TAG Heuer Monaco on his wrist during his appearance in the popular 1971 film Le Mans, where he was playing a racing driver at the 24-hour endurance race from Le Mans. 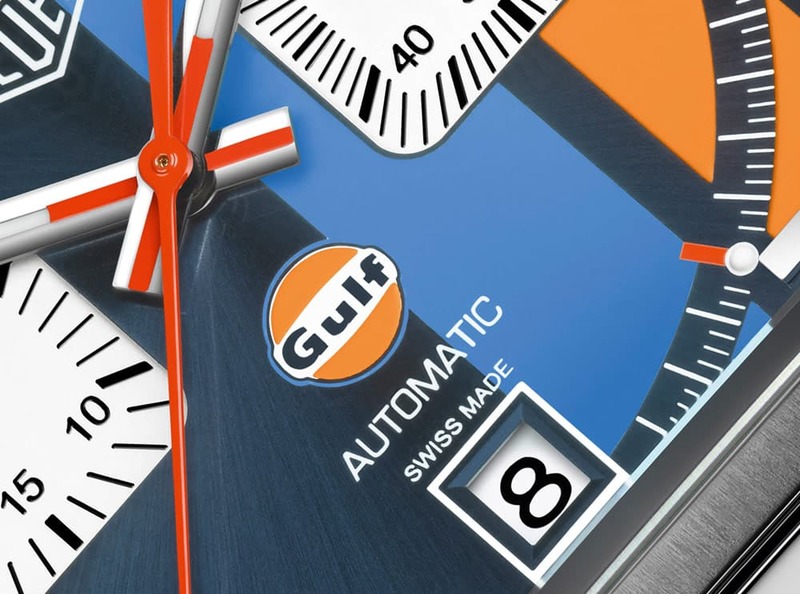 Sponsored by Gulf Oil, his racecar had a white livery with blue and orange stripes, a theme that you’ll also see on this timepiece, which honors the 50th anniversary of the Gulf racing stripes as well. The TAG Heuer Monaco Gulf Special Edition remains true to the original design of the Monaco watch, which means the crown is still on the left side of the square case, a highly domed sapphire crystal is on display, while the wonderful dial is finished in blue, showing off a lovely sunray-brushed finish. Powered by the TAG Heuer Calibre 1, which promises 40 hours of backup power, this watch is ready to tackle just about anything, including 100-meter deep waters. 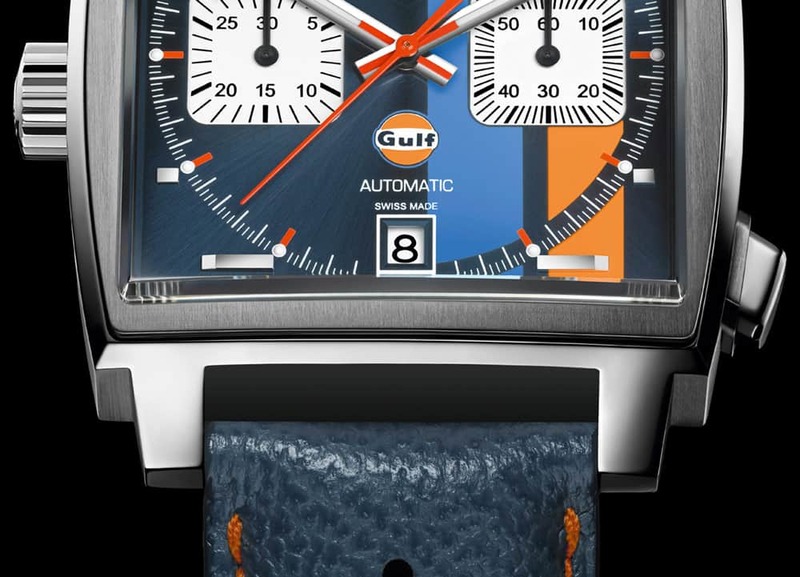 The gulf stripes add a cool racing vibe to this watch, while the rhodium plated primary hands and hour markers, and the silver horizontal indices that start off long at the top and bottom of the dial will prove to be a great conversation starter. 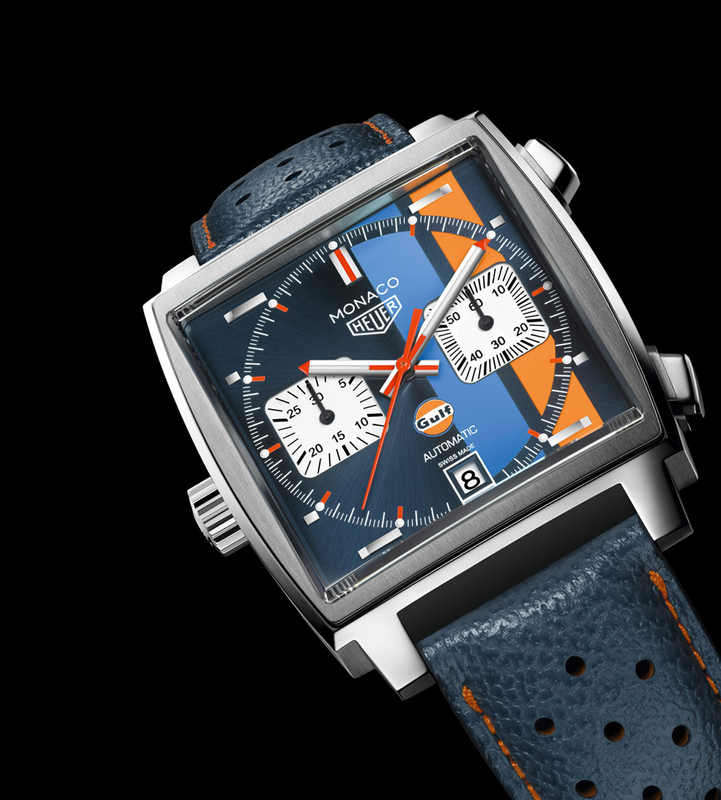 Limited in numbers and a US-only edition, the TAG Heuer Monaco Gulf Special Edition ships on a blue leather racing strap with orange contrast stitching. At $5,900, this watch seems to be very affordable. And don’t forget to check other super watches: 50 Best Black Men’s Watches.